When students are off sick from school for an extended period of time, they will need some activities to keep them occupied. If you teach this health lesson plan ahead of time, then the students will already be familiar with the book when you include it and this activity in the sick day kit (article below). 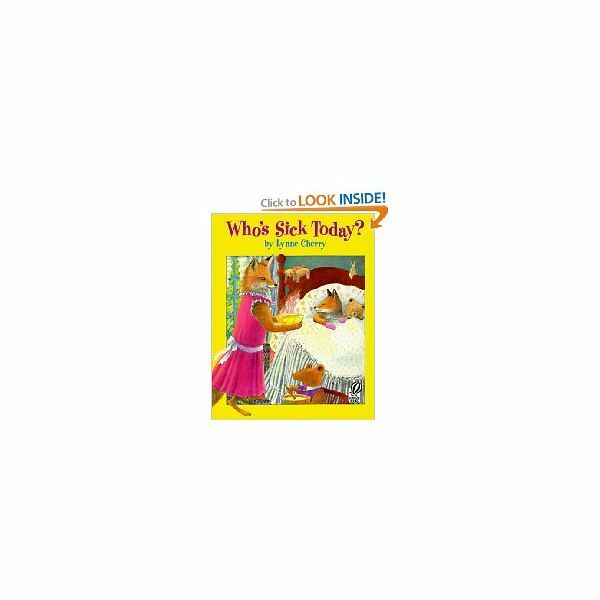 Read the book, Who’s Sick Today, by Lynne Cherry (Scholastic, 1988). This is a cheerful and colorful sick day book about animals who are sick in bed. In the end, the porcupine comes back to school, feeling fine. It also has rich new animal vocabulary words for young students and rhyming words. Discuss the new vocabulary students may not know of yet. Download real life pictures of each animal. The best pictures I researched on the web, are available at Animal Pictures, A-Z, found here. There is also a brief description of each animal. Print each animal picture found in the book. With a black marker, write the name of the animal on the paper (or card stock for durability) and laminate. Write each rhyming word from the book onto an index card and laminate. Students match the picture of the animal with the rhyming word. To extend the activity, also copy the description of each animal that parents can read with the student. In the sick day kit (see the next article in this series), include directions for parents on how to play the matching game, on naming the animal and reading its description and to have the students write the name of the animal and the rhyming word on a sheet of paper. As I understand that this is a long lesson for a sick child, it does not have to be completed in one day or at all for a child who is extremely ill. It can be done over several days while the student is home. This book could be used as a health lesson plan and the activities as center games instead. For a preschool health lesson about germs, read more here. Read more for cold and flu lesson plans.